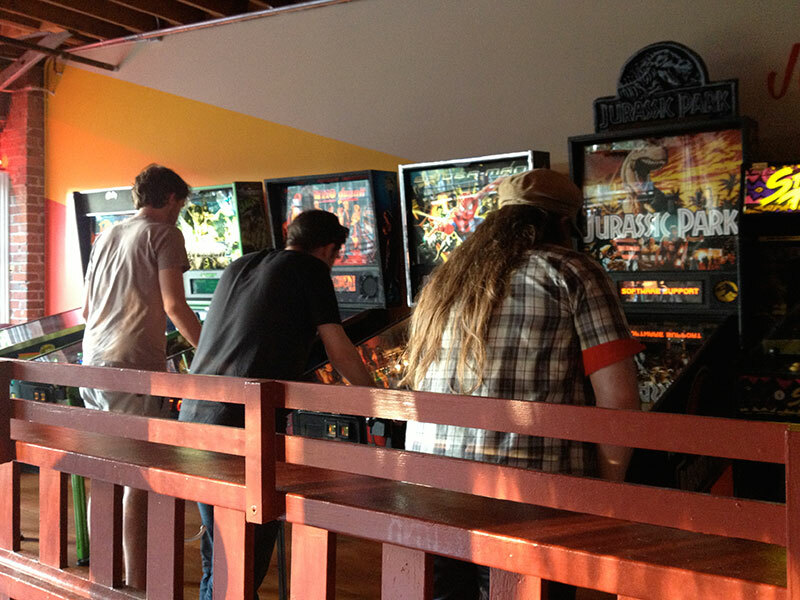 So right now Jon is at San Diego Comic Con, hanging out with the Stern guys, playing Metallica and having a blast. Well, instead of heading straight back to Vermont when the convention wraps up, he is going to take a slight detour to come visit me up here in Oakland! 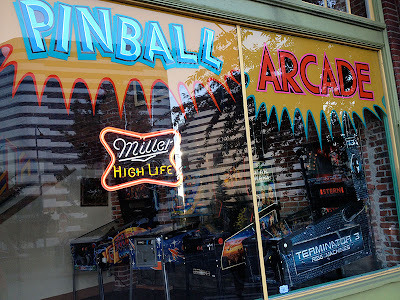 We are going to be playing A LOT of pinball, so I will do my best to take some photos along the way! 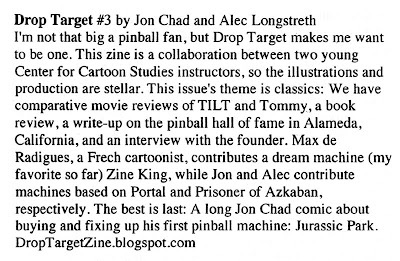 We will also, of course, put our heads together about Drop Target issue 6 to get the ball rolling. I took a quick trip home to Seattle over the 4th of July weekend to see my family. 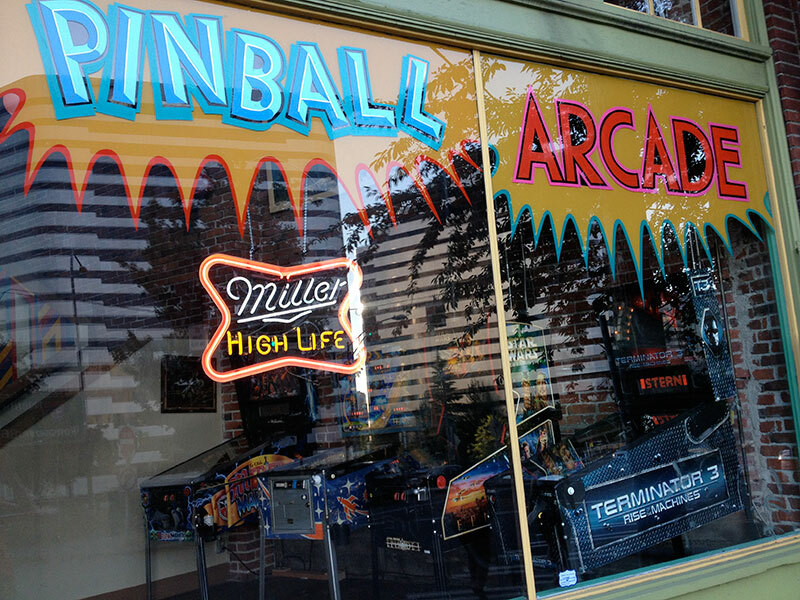 I was literally there for about 96 hours, so I didn't think I was going to have time for pinball on this trip. 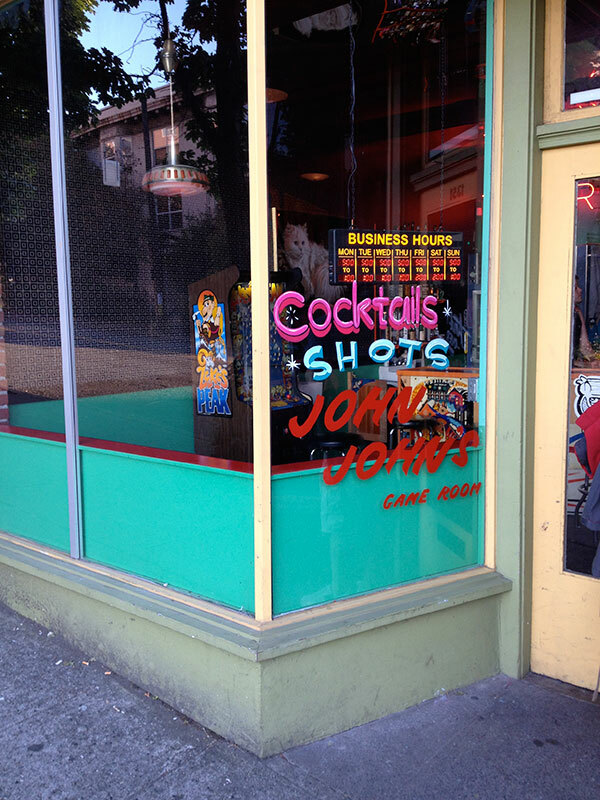 To my astonishment, my father then pulled over right in front of this place, which he had planned all along. The place is called John John's and they had a pretty nice selection of machines, including Star Wars: Episode 1 (no, I didn't beat it). There was a balcony upstairs, so I dashed up there to get this photo (there was also a Harlem Globetrotters machine way back in the corner). The Hulk version of the Avengers machine was priced at 50 cents, so I played a quick game and got a replay, but had to leave it for the next guy (everyone was waiting for me). 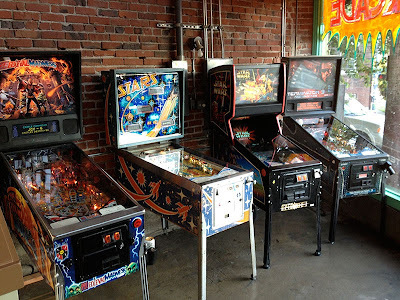 It was super cool of my Dad to look this place up for me. 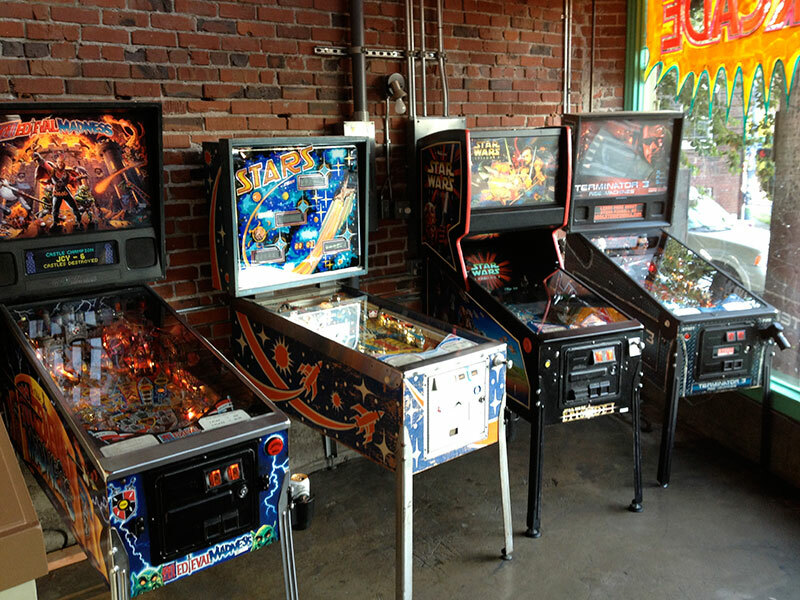 Next time I'm in Seattle, I will definitely spend some more time in here! If you live in the area, check it out. I always have a big stack of minicomics and zines that I need to read. 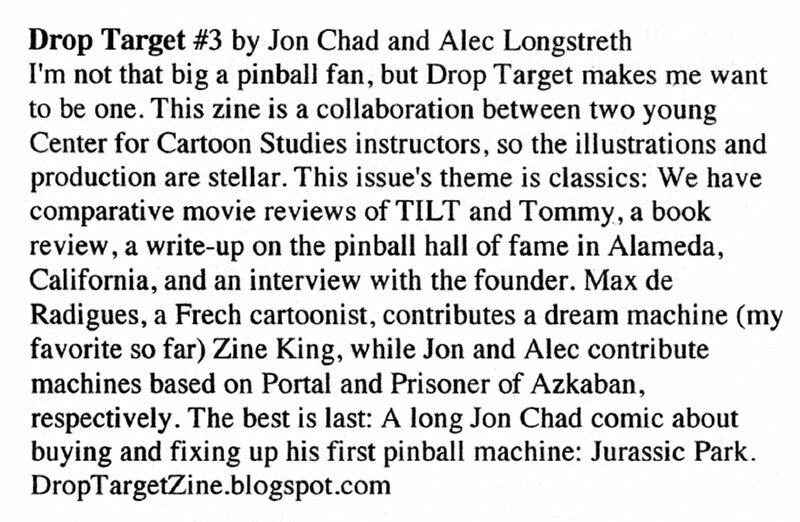 Some arrive in the mail and others I pick up at various comics shows around the country. 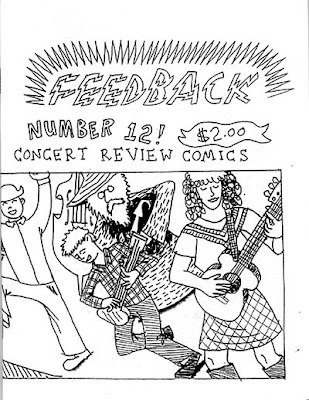 Recently I was working my way through the stack when I came across Feedback #12 by John Isaacson. 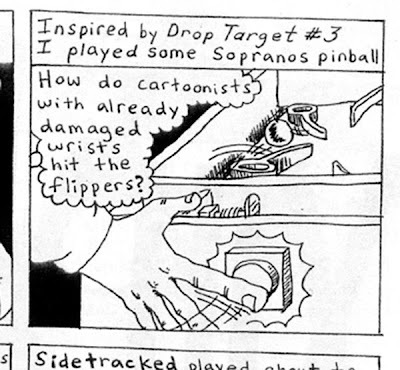 Even better, in one of his review comics he plays some pinball, inspired by reading our zine! This is what we're all about!!! You can order a copy of Feedback #12 and all kinds of other cool stuff on John's site.